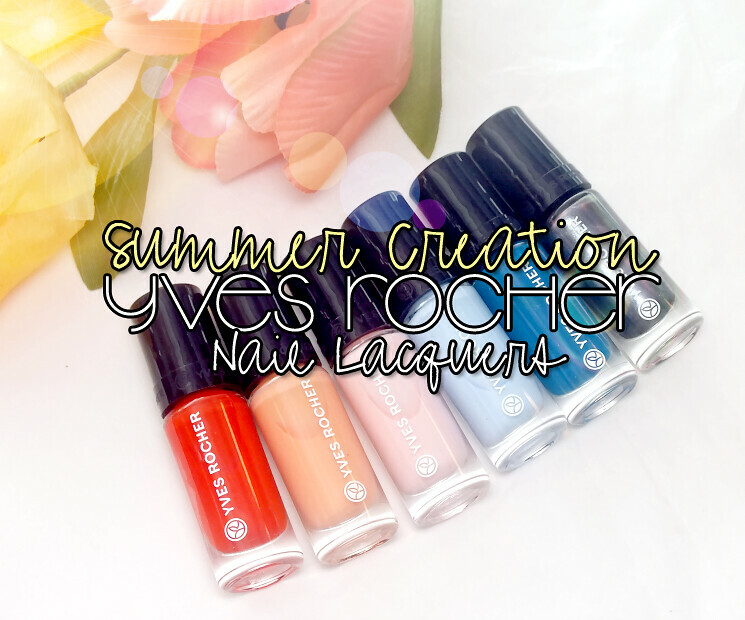 Yesterday I introduced the Yves Rocher Summer Creation Collection (this post). I mentioned it was rather hefty and would be breaking it up for easier read-ability, so today we've got nails. 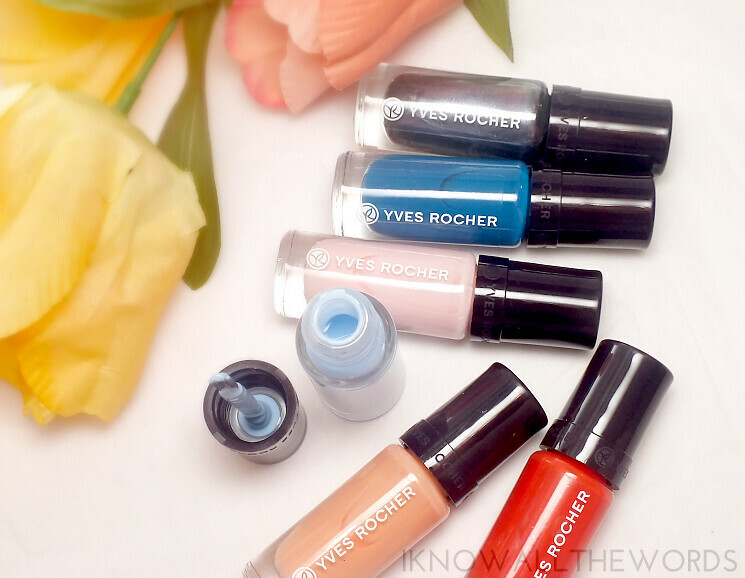 Yves Rocher has done wee, itty, bitty nail polishes for past collections, but has launched bigger versions with a much more user friendly brush. At 5 ml, these are still smaller in stature than your average bottle of polish, but the formula is kind of amazing, and the fresh, cream shades can't help but lure you in. Read on for a closer look at six of the eight new shades. The new Yves Rocher Nail Lacquers are inspired by the 'infinite richness of the botanical world' (a common theme throughout the YR product range) and formulated with Elemi resin to provide a high shine, optimum coverage, and lasting finish in one coat. While I did find the formula to be quite opaque and easy to work with, but most shades needed that second coat for perfection. On the upside, I did find the formula to be fast drying, and the new brush fits nails really well- making the polishing process so much quicker. Intense Tangerine is a vivid, red-orange cream. The formula is super smooth, opaque, and dries to a very glossy, high shine (all of the shades did, actually) Two easy coats. Soft Coral is a milky, peachy-coral cream. This shade applied really well for such a pale, whitened colour and wasn't streaky or patchy at all. Two coats. Perfect Light Pink is a very pale, baby pink cream. Like Soft Coral the formula was superb, especially for such a light shade. Two easy coats. Aqua Blue is a fresh, baby blue cream. Baby blues aren't the most unique shades, but I can't think of a shade in my collection that is quite this depth or tone. Another easy formula, two coats. Ocean Blue is a vivid, medium blue. I love this shade and even better it's a one coater! Iridescent Anthracite is a gunmetal shade with iridescent shimmer that flares green, blue, and pink. 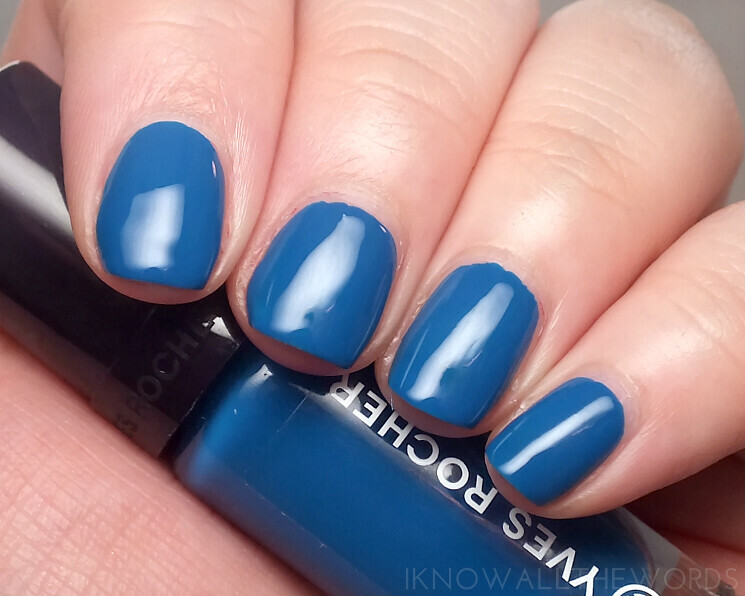 The inner glow gives this shade a really pretty effect on the nail. Another one coater. Overall, I'm quite impressed with these little polishes. It would be nice to see a few more shades, but the range does provide something for almost everyone- there is also a vivid pink and gold shimmer. While these have been released with the Summer Creation Collection, they look like they're a permanent addition and aren't limited edition. what do you think of these polishes? Are you a fan of smaller bottles?